Lets not fall into a trap by putting Soviet era SAM systems of some small state against todays US force and conclude its not worth a penny. Soviet era PVO had 2000+ PVO fighters alone + thousands of radar systems and SAMs for that mission alone. and ability to appear and suddenly disappear anywhere all strictly controled by command posts and interceptor wing under its command can make wonders. If you look at the soviet sams evolution over time they tend to get more mobile and get longer ranges and cheaper missiles and more sensors and antennas are fitted to the vehicle rather than the missile to improve performance without increasing operational costs. Most upgrades focus on ECM capability, mobility, different guidance options (ie optical guidance) and often integrating old missiles with new systems so old missile stocks can be used up with newer systems. ie the BUK system is compatible with the KUB system, so the SA-6 can operate with the SA-11 and SA-17 systems. Yes, there is a limit for upgrades where these systems would become too expensive. The improvements of these systems ammunition and radar technology must be done always taking into account that the result must be cheaper than more modern air defense systems, that also will need updates, but more powerful than modern man-portable air defense systems with ammunition of low weight and space inside. At same the current military trends, in military air transport and with the higher use of drones, will continue giving to these older air defense systems targets of low (relative) speed and low defense to destroy. Today drones are taking most of the reconnaisance activity and surely will take other attack roles in the future (alone or in unts of higher number of drones), If I'm not wrong you also commented about drones. Also helicopters and older aircrafts still active can be natural targets for these older systems. I would not expect Russia to be shy trying to produce and export the systems that are still on their inventary (SA-13, ZSU-23-4, SA-4, SA-6 and, SA-8.) together with more moderns systems (SA-10/12/20/23, SA-11/17, SA-15, SA-19, and SA-22) since the improvements for the ammunition of the first group is needed for Russian armed forces and relatively cheap (in most of the cases only need to adapt current technology in service to other missile formats that are big enough to include them). It is also interesting to see how the SA-3 system has now a mobile launcher designed one decade ago. Which countries have these new mobile systems for SA-3? It is known? This is a strong sign about how many countries are trying to improve their air defense systems, and about how low is today the overall international level on air defense (making easier the air superiority tactics of some countries). An old Mosin rifle can still kill an opponent armed with the latest assault rifle. Of course, modern aircraft with the latest countermeasures makes the older SAMs lees effective. But they still constitute a danger if employed cleverly. Upgrading the older systems makes them even more dangerous to even the newest aircraft. For example a new PANTSIR-SM can do the job of a KUB (SA-6). The newer PANTSIR-SM missile has the same range (35 km) of the KUB while being only a third in weight. The system is more mobile, smaller and needs very few crewmen (unlike the KUB). Plus the Pantsir missiles are so much smaller you can mount a dozen on a vehicle ready to fire and because they are just simple command guided missiles they are much cheaper so you could produce millions of missiles instead of tens of thousands. they can even be fired while the vehicle is moving slowly... something you could never do with SA-6. 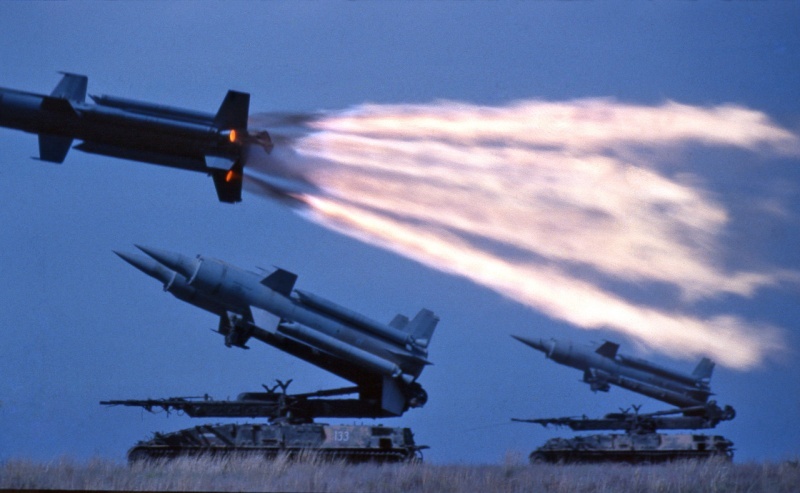 Another thing is that older missiles were optimised for a range and altitude so SA-2 were for high flying targets and SA-3 were for low to medium flying targets.... the modern missiles have better altitude ranges. Most numerous SAM in Serbian air defence is SA6. Or as we just call them "Kub" or old nickname "Troprsta smrt" (Three fingers of death). Second is S125 Neva (SA03 Goa). I think it would be smart to desing new ammunition for the SA-4 stored launchers and recover them for active service. eehnie wrote: I think it would be smart to desing new ammunition for the SA-4 stored launchers and recover them for active service. It may not be worth it. May? It totally wouldnt be worth it imo. If you were to put it back into service and expect some actual results, you would have to replace basically everything except launchers and resupply vehicles. Modern ammunition for the SA-4 means modern rockets of good size. I would expect a performance according to it, nothing close to the performance of the old rockets of the SA-4. I would expect a lot larger range than before, maybe at very high altitude,... Something useful and modern, of course. Together with missiles you would have to replace all the electronics, they are early 70s tech after all, it would be quite useless compared to what modern systems like S300PMU2 or S400 offer, but if someone really wanted i suppose they could be modernised with Tor M3 components, not sure tho why would someone do that. The electronics of the old SA-4 system is likely about 0. The question is to take profit of the launchers that are useful (it is the reason why they are being stored), and are not cheap to build. To have 220 new active systems by the prize of designing new ammunition that can take many components and likely all the electronics from other current systems seems smart to me. To ad more S300, S400 or Tor systems to the active service, Russia needs to build them entirely, launchers included. the secret is to use them as drones and targets... just replace their warheads and guidance systems with a command guidance system to allow you to "fly" it the way the defence battery wants to simulate different targets. As i served with SA3 and SA6 batteries trust me, you would be stunned by amount of electronics there. Certainly there are some outdated components by todays standards, well even by 70s standards but they were military grade components anyways, they do not follow always same ideas as civilian products. They do have to build everything, true, however unification of platforms is what they are doing atm. GarryB wrote: the secret is to use them as drones and targets... just replace their warheads and guidance systems with a command guidance system to allow you to "fly" it the way the defence battery wants to simulate different targets. I belive Nevas are used this way in Russia. The SA-4 shares platforms with other sovietic armored vehicles of its time, that are still in active service, like the 2S3, if I'm not wrong. It would not be a trouble in this sense. We know what happen with old electronics, they are of big size but almost 0 function. It is not useful today, then better to remove all from the launchers. Surely you served in SA-3 and SA-6 with improved electronics. If I'm not wrong the ammunition of the SA-4 in Russia was finished years ago by this way. There is no sense to produce new missiles of the old model to be used by this way. If I'm not wrong in this case only the launchers are in storage, and I think it would be interesting to see modern ammunition for them, like we see in recent years for some artillery systems. It would be very interesting to me to explore the capabilities of modern missiles of this size with modern combustible and electronics (maybe as Surface-Air or Surface-Surface systems). The launchers are waiting for something and this would be likely the better and cheaper way to recover them. Sadly no, original KUB M1 as it was in late 70s modernisations were planned few times, however it never happened. Akatsiyas wont be around forever nor will be other systems based on GM123 and similar platforms, and pulling out from naftaline something that was rotting in some field for 2 decades...whats the point? Far newer systems require modernisation atm compared to Krugs, so many Tors and Buks in service that need modernisation to newer standards. It will take long still to see the 2S3 retired. Today the new 2S34 is being done using the mobile system of the older still 2S1. I think all the heavy towed artillery will be retired before the 2S1 and 2S3. The advantage of recovering the SA-4 with new ammunition is that you win a modern arm but you lose not an old one since today there is not ammunition for the old SA-4 in Russia. When Tors, Buks and 2S1 are modernized you have a new Tor, Buk or 2S34 but you have one less old Tor, Buk or 2S1 that still work decently. The need of modernization and the profit seems bigger to me in the case of the SA-4. For the Russians it makes little sense to keep old missiles in service as SAMs. Systems like SA-5 and SA-2 and SA-1 and SA-4 are obsolete and not really worth upgrading. SA-3 would be useful mainly because over a huge flat plain a missile that can target relatively low flying threats could be useful against cruise missile targets where numbers are useful. If using for experiments... for example the SA-5 has had a scramjet engine mounted on its nose for use in scramjet development, while the hundreds of thousands of SA-1 missiles produced are still being used to simulate air targets... since the 1970s they have used about 13,000 of them but there are still enormous numbers of obsolete missiles still available for use with fairly minor modifications. the SA-8 is a very capable portable drone launcher system as an example. For a less capable country likely to see less capable threats then some older systems might be viable with a few upgrades, but really with systems like Pantsir and TOR that have expensive vehicles but cheap missiles it really does not make any sense to use even upgraded old model SAMs. Of course having said that India is using upgraded SA-6 missiles in its defence... in many ways it is a mini SA-4 in that it moves the four large external solid rocket motors into the core of the missile where after rocket burnout the core becomes a ramjet motor which powers the missile to its target. Obviously the ramjet motor on the SA-6 is much smaller than on the SA-4. Very simply if you have SA-2 and SA-3 in service then an upgrade to improve mobility as well as ECCM performance and indeed increasing the director channels so multiple targets can be engaged at one time to prevent the system being overwhelmed make a lot of sense, but it would be much cheaper to buy a TOR-M3 and S-350. 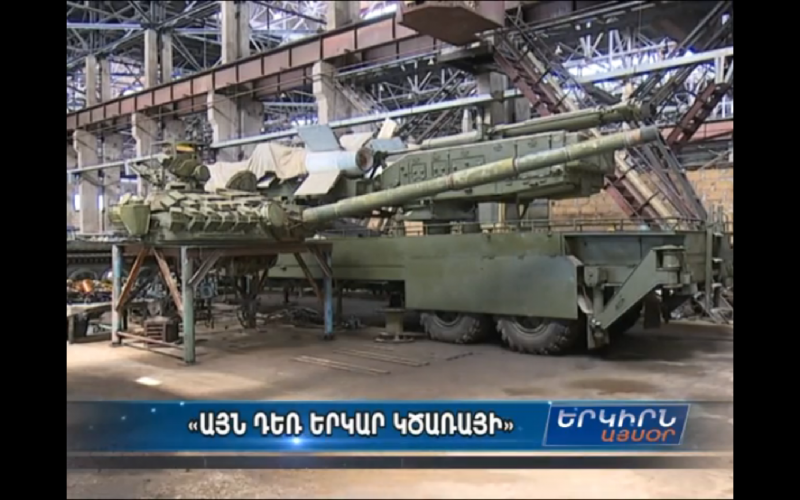 The talk about saving money by reusing platforms is a false economy for Russia... the quicker it can get all the obsolete platforms out of service and the new unified platforms (ie armata, kurganets, boomerang, and typhoon) into service the more money they will save. Pretty soon however when all the new turrets are ready the older chassis will be retired and standardisation and unification will be completed... simplifying logistics and spending and saving a lot of money. GarryB wrote: For the Russians it makes little sense to keep old missiles in service as SAMs. Its worth updating SA6 and SA8, first one coz of its great ability to strike low flying objects and great mobility, SA8 coz its generally speaking great SHORAD. SA3 while being good system is fixed or semi mobile by its nature, in Serbia we lost most of our SA3s in first few days, meanwhile over 80% of our SA6 survived the war. In some areas with satured reserves of material (like Tanks), this preview can be right but I do not think it is right for mobile Surface-Air systems or mobile Surface-Surface systems. Since years, even decades, it is obvious that the design and production of mobile systems on the areas of the SA, SS and artillery is prevailing over the towed systems. Militarov said perfectly why. Today, there is a strong presence of them in the active service. Almost all of the current active SA and SS systems are mobile, the heavy towed systems have been retired (except SS-18 and SS-19). In the case of the SA systems, the level of production of mobile systems has not been big enough to create a reserve of them until now. Between the Surface-Air systems, the alone mobile systems in the reserve listed recently are most of the SA-6 and all the SA-4 systems that are without ammunition. As conclusion, the reserve of mobile Surface-Air systems is still far from satured in the Russian armed forces, and in this situation it is very difficult to see no-one of them retired in 10-15 years. As example, from the mentioned models SA-4, SA-6 and SA-8 are mobile systems while SA-1, SA-2, SA-3 and SA-5 are heavy towed systems. From what I know the SA-8 remains active, the SA-6 too but most in the reserve, the SA-4 would be in the reserve, while the SA-1, SA-2, SA-3 and SA-5 would be totally retired, with the remaining ammunition transformed in target missiles. It is a clear sign. Unlike in the case of the Artillery, some people, when think about Surface-Air or Surface-Surface systems think in the missile, like if the missile would be the system, and whitout the missile would not be a system. The missile is the ammunition of these systems. In Artillery improved ammunition keeping the same caliber gives to the artillery system, to the launcher, longer life. It is possible to do the same for mobile SA or SS systems. It is possible longer life for these these systems changing of ammunition. When the reserves of mobile SA Systems are far from saturation in the Russian Armed Forces, I do not think the SA-4 launchers will be scraped.